If you were not already completely smitten with G.O after the first 10 episodes KBS Joy’s 5th season of Hello Baby, then most assuredly, number 11 would do the trick. Where Episodes 4 and 5 gave him reason to stake his claim on my heart, Episode 11 imprisoned it for all eternity with no promise of release. 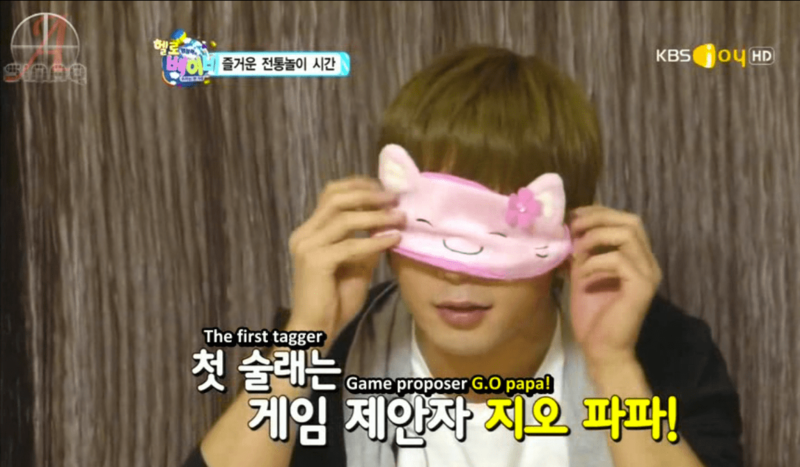 In Episode 11, G.O took the helm in planning and executing a birthday celebration for one of the three babies in the house, Dayoung. Since G.O was Dayoung’s number one appa, he took the lead in making sure she had a sweet surprise for her birthday which included a Vietnamese-inspired birthday dinner that he cooked himself. Not only did G.O cook the dinner (using recipes he received from Dayoung’s Vietnamese mother), he organized the entire event which included decorating (with some help from Joon), sending Mir to the market to get all of the food, snacks and birthday cake, having Thunder take Dayoung out on a play date so they could secretly prepare the party, and even arranged to have friends of the children attend the party. Ok…..of course there was an entire production team that helped orchestrate and facilitate everything no doubt, (it was after all a variety/reality show). 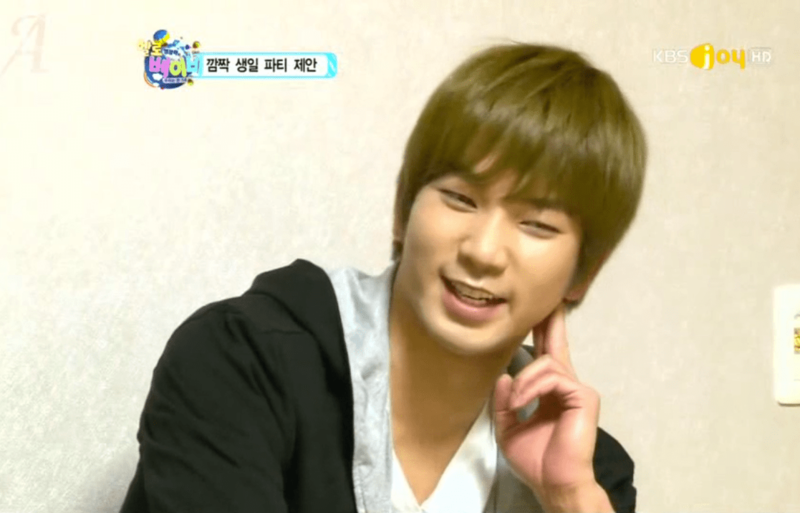 Nevertheless, G.O was definitely the appa in charge on the set that day. Frankly, I don’t know who was more adorable, the children or G.O!!! 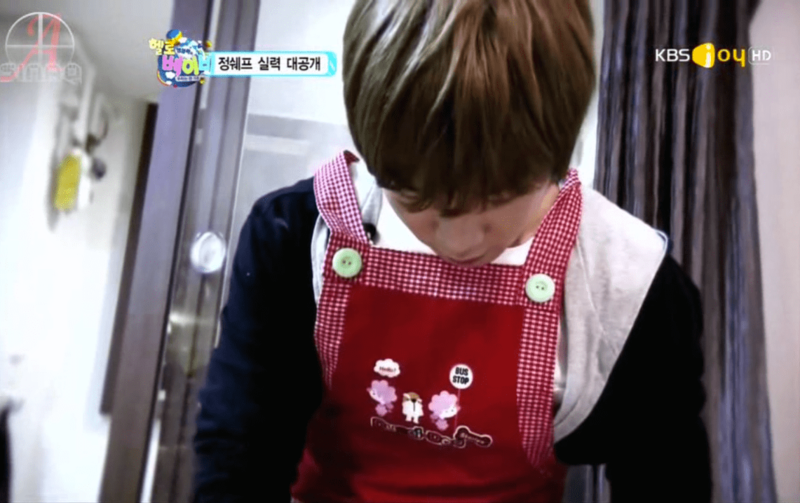 What I will say (and what I have said before in an early 116 Reasons post, Sweet Dad-Hee), when the time comes, G.O will most likely be an amazing father, and will wear fatherhood much like he wore that delightful red apron up there: comfortably with ease, patience and genuine sweetness. 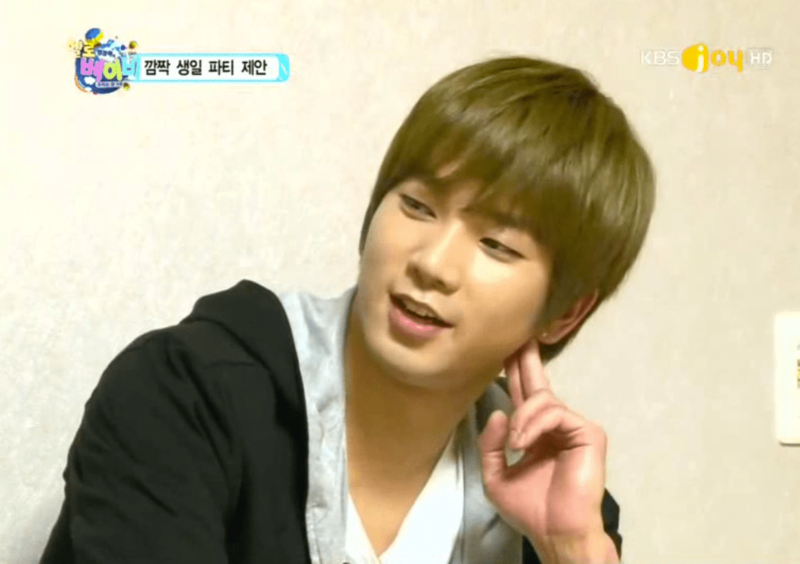 Categories: G.O Military Discharge, MBLAQ Musings, The G.O Files | Tags: G.O, G.O on Television, G.O on Variety Shows, 지오, Jung Byung Hee, Jung Byung Hee images, Korean entertainment, Korean Variety Shows, MBLAQ G.O, MBLAQ G.O images, MBLAQ Hello Baby, MBLAQ on Television, MBLAQ on Variety Shows | Permalink. 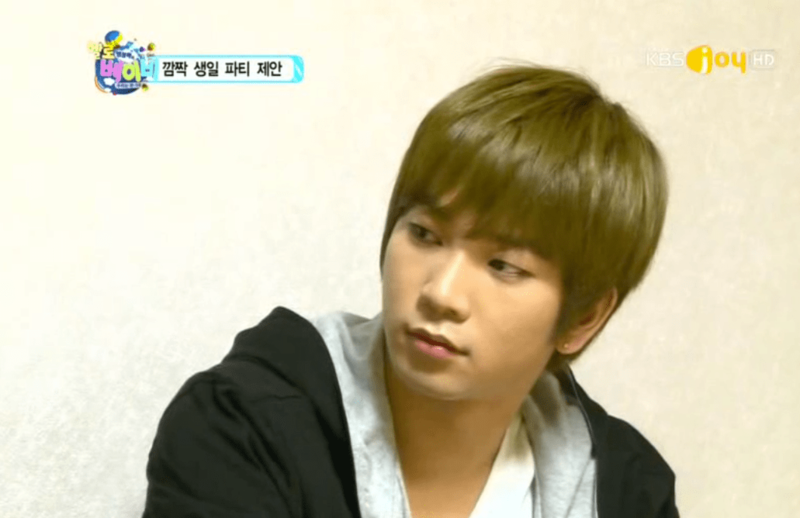 Yes it was in Hello Baby that G.O. staked his claim on my heart too. It was then that I decided that G.O. was the heart of MBLAQ. And I whole heartedly agree… he is going to be an outstanding father when the time comes. And he’ll make some lovely lady an awesome husband.